Health and Safety is of paramount importance in our industry. We strive to achieve the highest standards and continually improve our service in line with the latest HSE legislation. The health and safety of our clients, staff and the general public is essential and site specific, comprehensive and in depth RAMS are provided for each individual project. 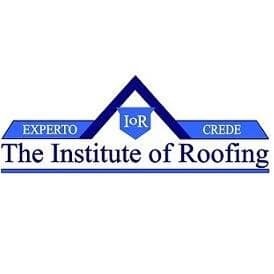 The experts here at C & W Industrial Roofing Ltd utilise a variety of techniques to ensure that the correct documentation, staff training and monitoring is provided by our dedicated in-house team of consultants. Our health and safety team compile unique H & S folders complete with site specific RAMS, rescue plans, COSHH documentation, Tool box talks, Plant and Access check forms, for each project. These are formulated to adhere to latest HSE guidelines and regulations to ensure that all projects are managed to comply with the highest possible standards of all aspects of H & S. The aforementioned coupled with on-site management from our fully trained foremen and operatives results in a problem free project with clear and concise direction from all levels of the company. 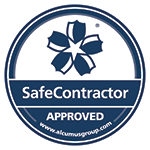 Our no compromise approach to health and safety ensures that every C & W Industrial Roofing contractor can complete works on your project responsibly and safely. Constant communication and liaisons with our clients ensures that they are kept informed of all developments and any improvements implemented. Some of the services covered by C & W Industrial Roofing and other relevant information are outlined below. Our sites are inspected regularly by independent H & S auditors, KPI reports are provided to us and any suggested actions are implemented immediately for the benefit of continual improvement. Our operatives receive in depth training specific to our field, qualifications include SMSTS, Asbestos Awareness Level 2, Working at Heights, First Aid, IPAF, PASMA, FASET, Manual Handling, Face Fit test, CSCS. We have an impeccable H & S record. We employ specialist consultants to monitor our H & S procedures and methodology to ensure that any amendments to legislation are implemented. Site specific folders are compiled for each project. These contain all training certs, PAT testing register, Tool box Talks, COSHH data sheets, Site specific, detailed RAMS and numerous induction forms and inspection sheets. Our operatives are FASET trained so we can inspect and sign off safe access, such as scaffold and safety netting on a weekly basis. In instances where it is desired that C & W Industrial Roofing act as a Main Contractor, SMSTS certified operatives can be installed to manage site. Only fully trained installers are provided by C & W Industrial Roofing and our Management team visit site regularly to check that high standards are being met. With C & W Industrial Roofing, safety comes first. We continually strive to improve all aspects of H & S following close management and monitoring of all projects.